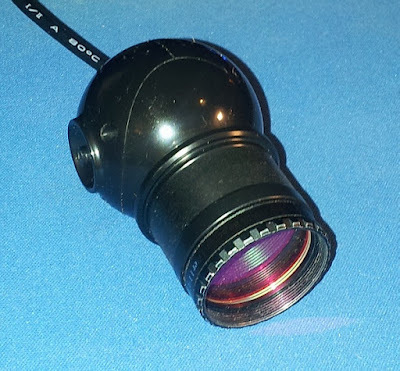 A Sweex WC035V2 VGA CMOS webcam costing less than £8 on Amazon UK was fitted with an IR/UV cut filter and placed at the Cassegrain focus of a Skymax 127 Maksutov. 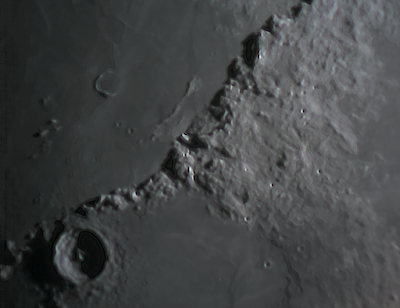 The scope was mounted on a Celestron AVX, EQ, GOTO mount. 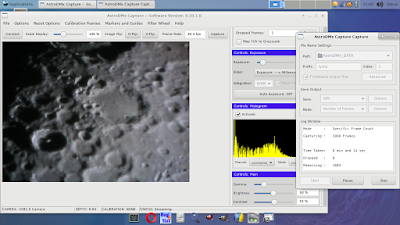 AstroDMx Capture for Linux, running on a Fedora laptop was used to capture 2000 frame SER files of various regions of the 63.4% waxing, gibbous Moon. The best 90% of frames in the SER files were stacked in Autostakkert! 3 and the resulting images were wavelet processed in Registax 5.1, both running in Wine. Microsoft ICE, running in Wine, was used to stitch together two overlapping images in the Tycho, Clavius region. 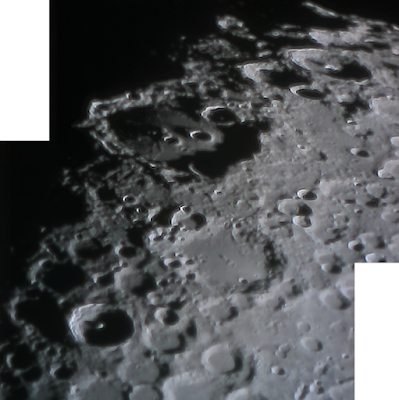 There were some slight compression artifacts, but not enough to spoil the results from this very low cost webcam. 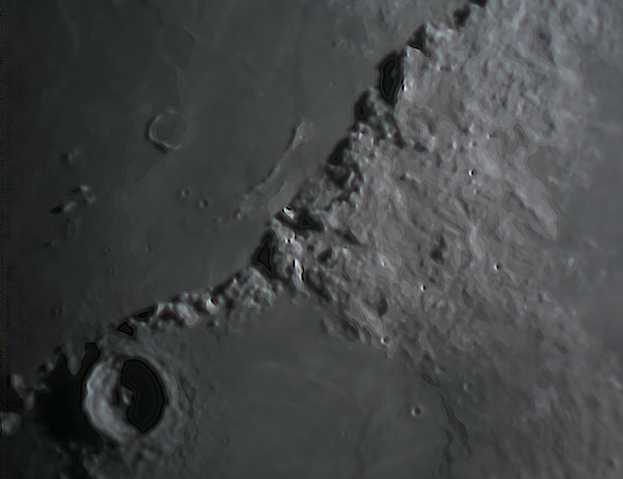 The camera also gave very pleasing live views that would be very suitable for outreach work. 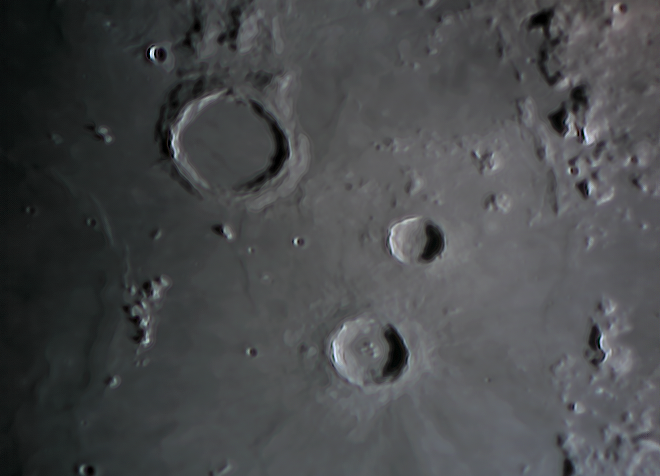 It is very easy to adapt for astronomical imaging and as a first camera for Lunar and maybe planetary imaging, this webcam is not a bad choice. It is likely that Nicola will release the next version of AstroDMx Capture for Linux later today.